For over 30 years, millions of people have chosen DiSC to help them learn about themselves and their affects on others. However, that doesn’t mean it can only benefit your career. Many people have also used DiSC to improve their personal relationships, as well! To celebrate Valentine’s Day, Corexcel is offering 10% off of our DiSC Profiles! DiSC Relationship uses the popular and powerful DiSC profile as its foundation to provide customized feedback for you and your peer or partner. DiSC Relationship allows two participants to take the DiSC assessment and compare their styles to each other. The goal is to better understand yourself, your relationship and how to work together effectively. So, whether you’re interested in using it with your partner or co-worker, enjoy 10% off on DiSC Relationship profiles now through Saturday, 2/19. 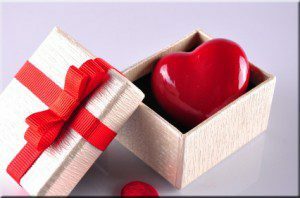 Shop online at www.corexcel.com and use Voucher code VDay2011 or call our offices at 1-888-658-6641, Monday – Friday, 9am – 5:30pm Eastern Time.